CTS T4 Advanced offers real-time quotes, one-click trading, multiple order types, a built in charting package, real-time news and economic indicator feeds, and much more to traders. 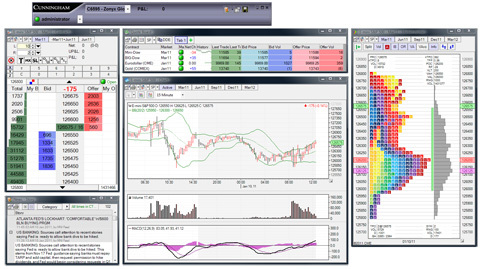 Full functionality and customization allow all users to create a trading screen that fits their own trading style. All CTS T4 products have access to historical trade information, performance charts, session data and audit trails. CTS T4 maintain their own exchange connectivity and the equipment necessary to operate the network at three separate data centers. Hosting allows CTS T4 to control and maintain a robust, fast, and reliable network that meets all of a trader’s requirements and more. This stable and efficient network is the foundation for a state-of-the-art front end, enabling it to be the front runner among futures trading platforms. 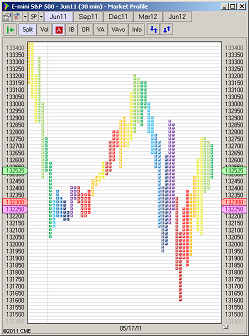 CTS T4 charting package is built directly into T4 Desktop. Custom built by CTS, it is a package meant for both professional and retail traders. Charting has real time streaming quotes for all futures, options and strategy markets available on CTS T4. The user friendly charts can be configured to each user’s specifications. 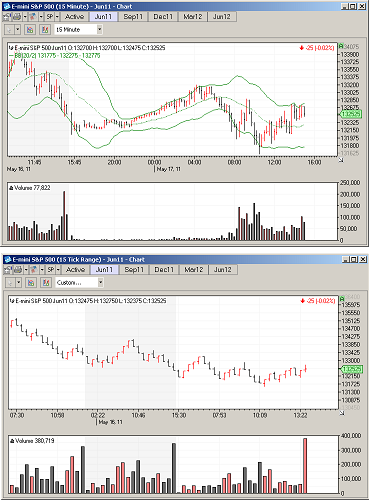 Charts are created and saved along with the other T4 windows to provide one platform for trading and charting. Market Profile is a time proven tool to help traders identify the type of trading day that is developing. Combining Market Profile and others indicators from our charting package provides the necessary help for a trader to create his or her trading strategy. Market Profile helps to identify whether a price trend has started, the market is trending or bracketing, where value is and much more. Market Profile has been created to be user friendly and completely customizable. 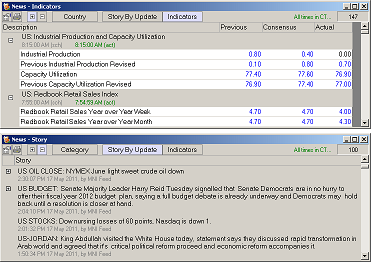 CTS T4 Desktop’s news capability utilizes real-time news and economic indicator feeds provided by an industry leading news service.